Seven people were taken into custody on February 11, 2015 for failure to pay child support. Those arrested included six men and one woman. One individual owed $35,259.31 in back child support, and the total owed by these seven was for $81,657.40. Two of these people were on the most wanted list for Montgomery County. The “raid” was to find 27 people who owed a total of $246,122.28 in child support to provide for 34 children. Montgomery County has increased the use of social media and advertising to encourage the public to help them find people who owe money for back child support. They began putting most wanted information on social media in 2014, and plan to continue this practice. The department also has an online form for “tipsters,” and a phone number for those with information on anyone who owes back child support. The department encourages anyone who has a warrant out for back child support to turn themselves in. This will help avoid the embarrassment associated with being arrested in front of family, friends, or coworkers. 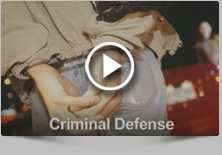 However, you may want to talk to an experienced criminal defense attorney first. Your attorney can discuss all of your options with you and what will happen once you turn yourself in, if that is in your best interest. Call Fiore & Barber at 215-256-0205 to discuss your legal options.